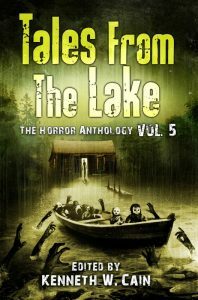 My story “In the Family” is in the new Crystal Lake Publishing anthology Tales from the Lake Vol. 5 (edited by Kenneth W. Cain). The book also features stories by Allison Pang, Stephanie M. Wytovich, Samuel Marzioli, Robert Stahl, Paul Michael Anderson, Michelle Ann King, Lucy Taylor, Laura Blackwell, Cory Cone, Lane Waldman, Jonah Buck, Joanna Parypinski, Jason Sizemore, Gemma Files, Craig Wallwork, and Tim Waggoner.